Pontos Requerido: 11100 O software não é compatível com dispositivos móveis e tablets. Por favor adicione este título à sua Lista de Desejos e inicie a sessão na sua conta the first club desde um computador para concluir o processo de solicitação. ABOUT THE SOFTWAREQuickly identify and remove viruses, malware and spyware with our high performance scan engine that won't slow down your PC. 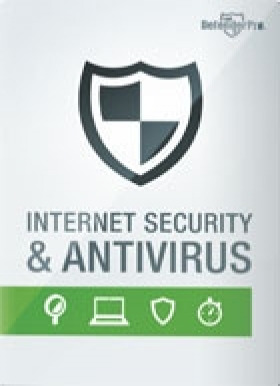 Defender Pro Antivirus & Security. Real Time Award Winning Threat Detection. 3 PCs 1 YRSYSTEM REQUIREMENTS Supported OS: Windows 8 (32-bit or 64-bit) Windows 7 (32-bit or 64-bit) Windows XP SP3 (32-bit) Windows Vista (32-bit or 64-bit)Processor: Intel… or AMD 1.66GHz+ or equivalent Memory: Min. 1.5 GB RAM (Windows 7, 8) Min. 1 GB RAM (Windows XP) Hard Disk: 3GB available disk space (additional temporary and quarantine space needed)Note(s):Administrative rights, an internet connection, and web browser will be required during installation.